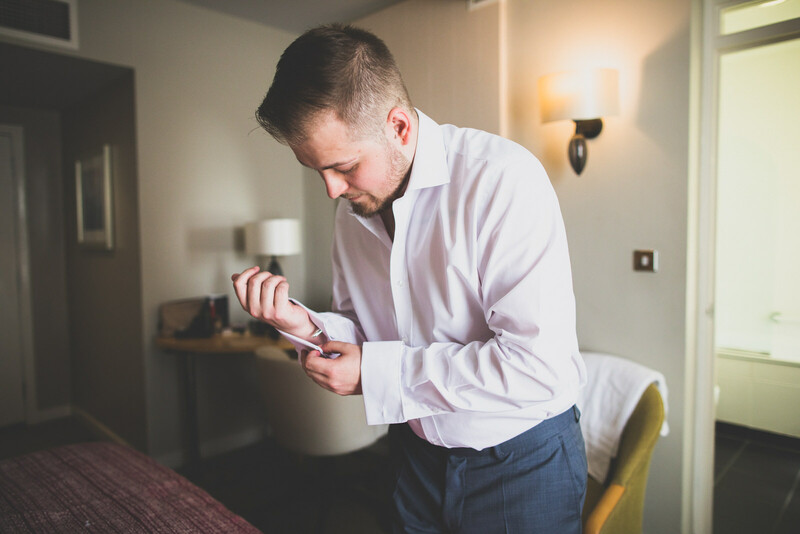 I started Caroline and James’s big day a little differently from most.. instead of being with Caroline for bridal prep, I was with James for groom prep! 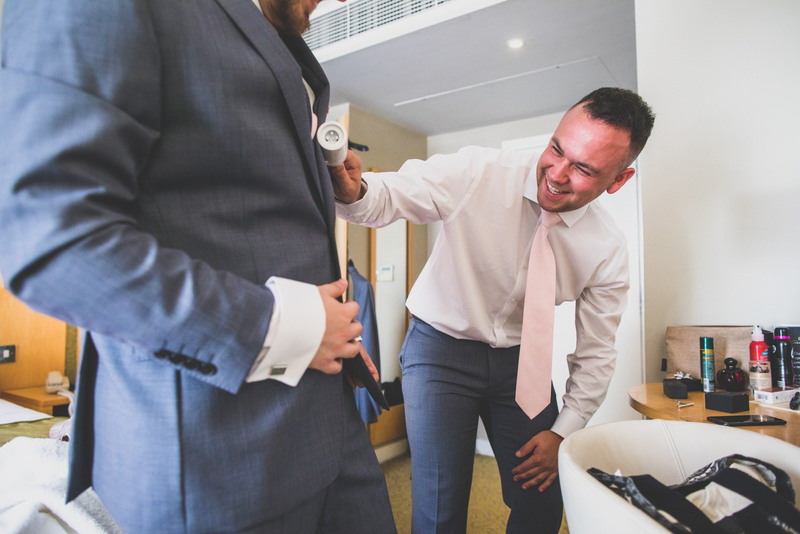 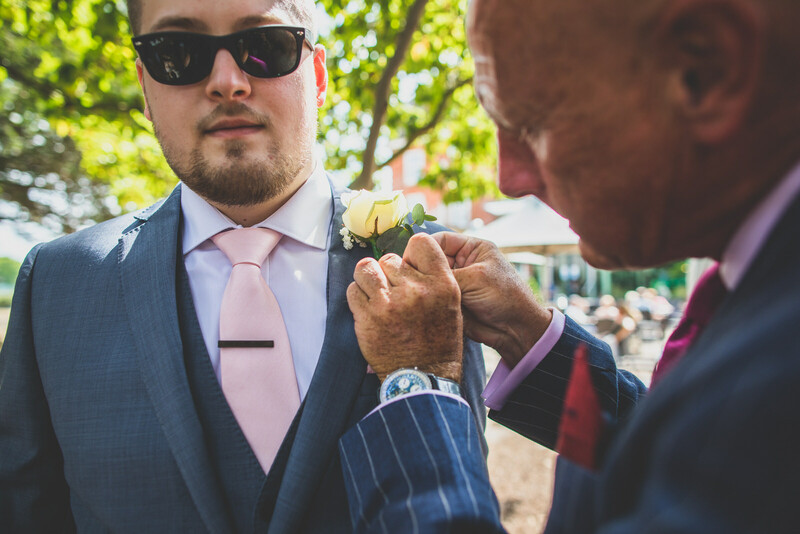 He and his best man got ready, including Googling and Youtubing how to put on their buttonholes and ties, like I’ve found most bridal parties to do! 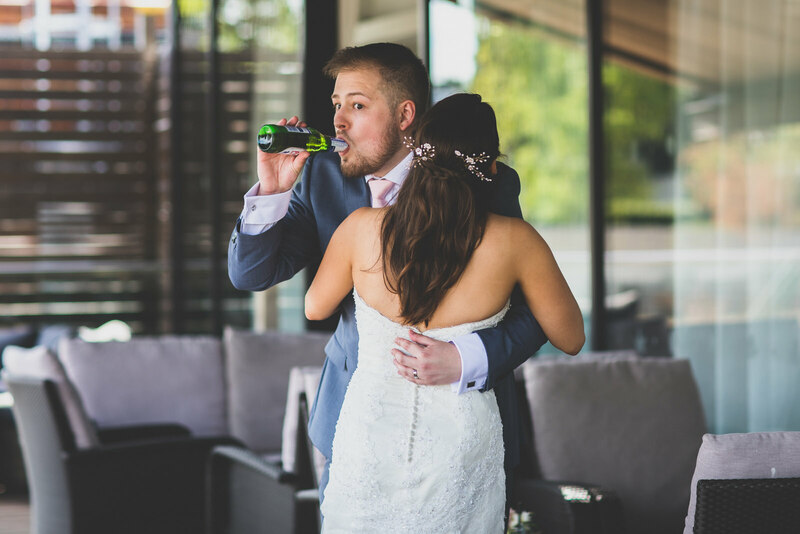 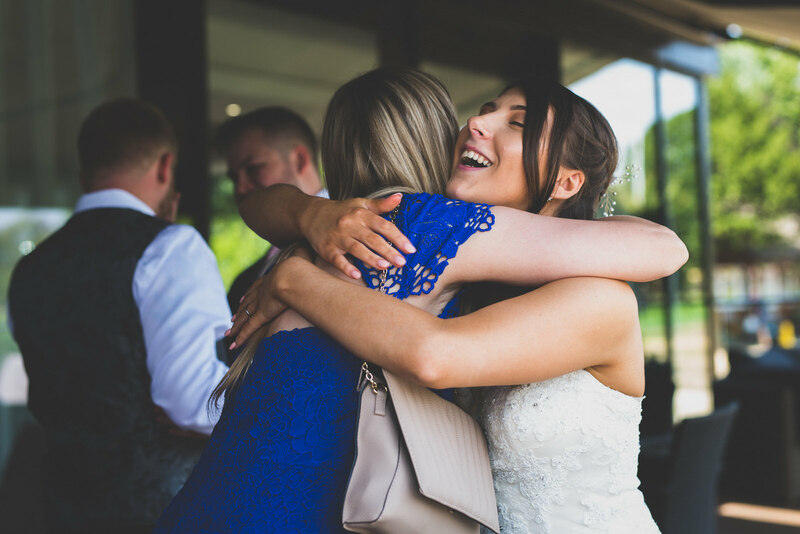 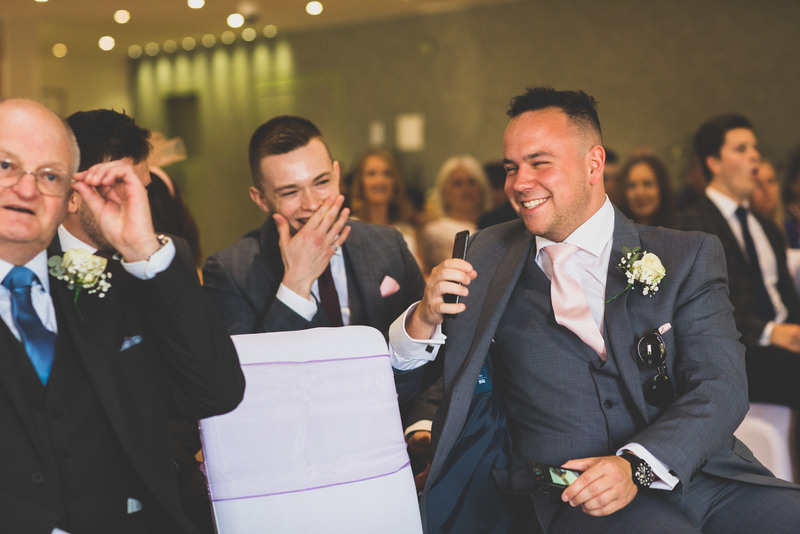 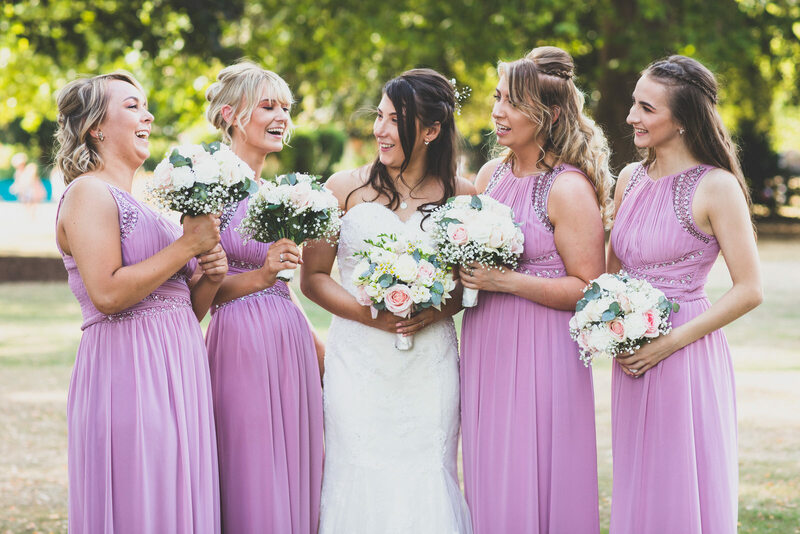 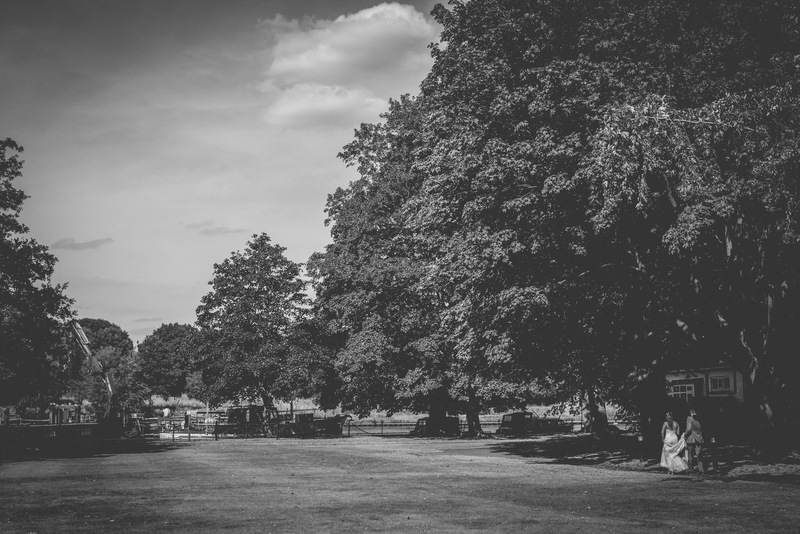 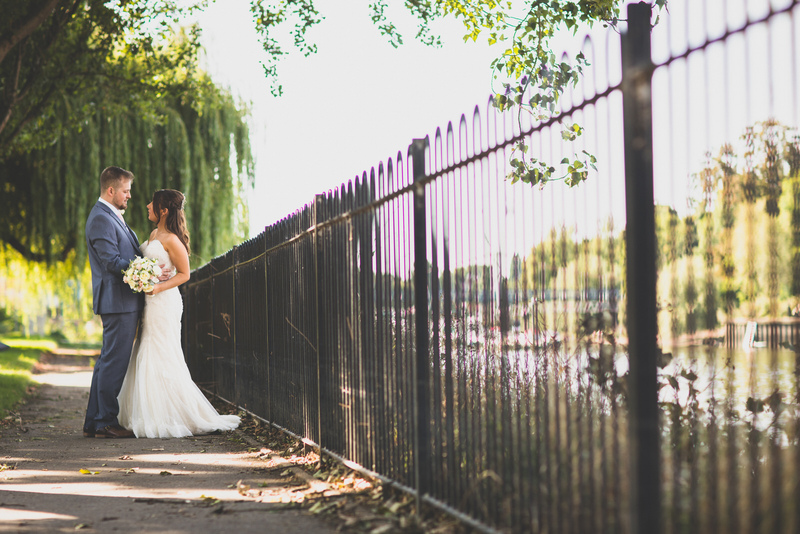 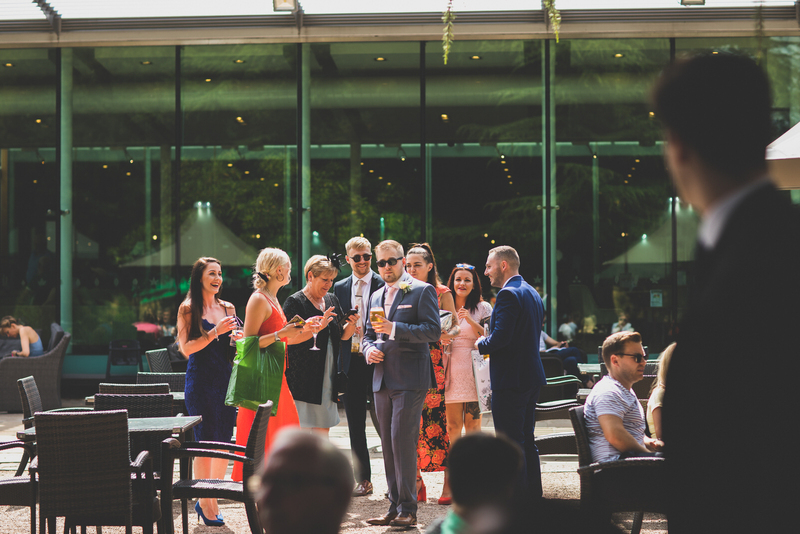 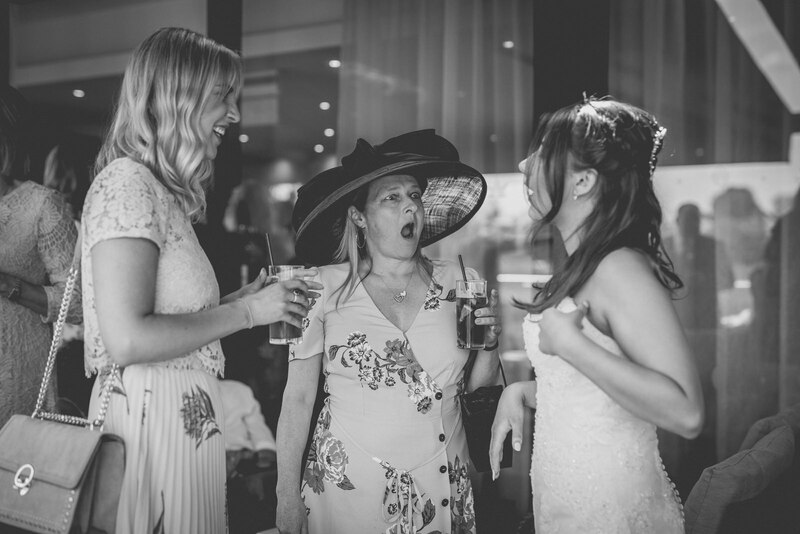 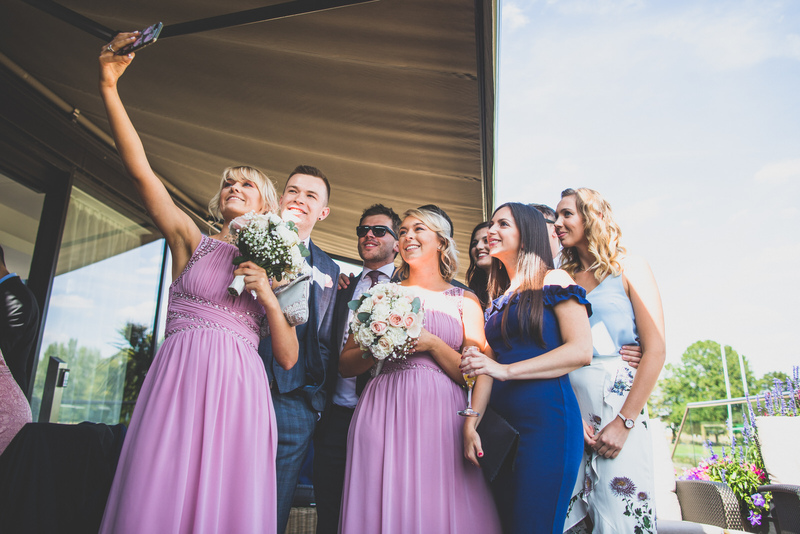 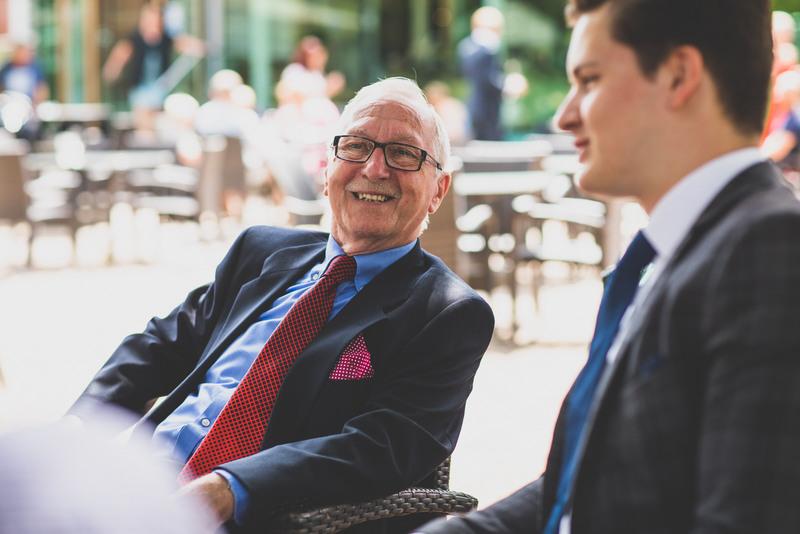 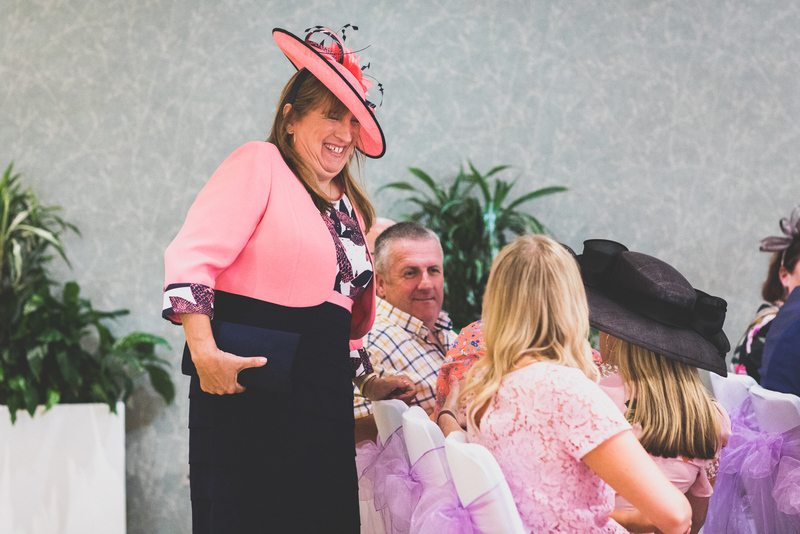 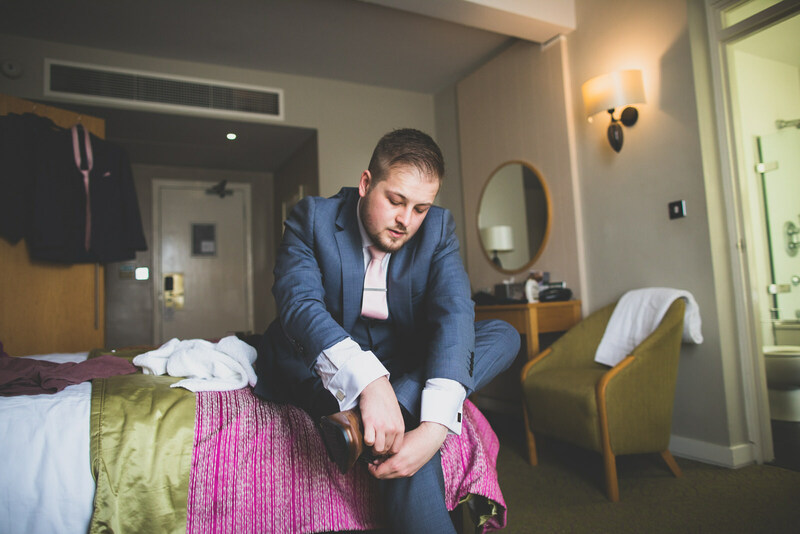 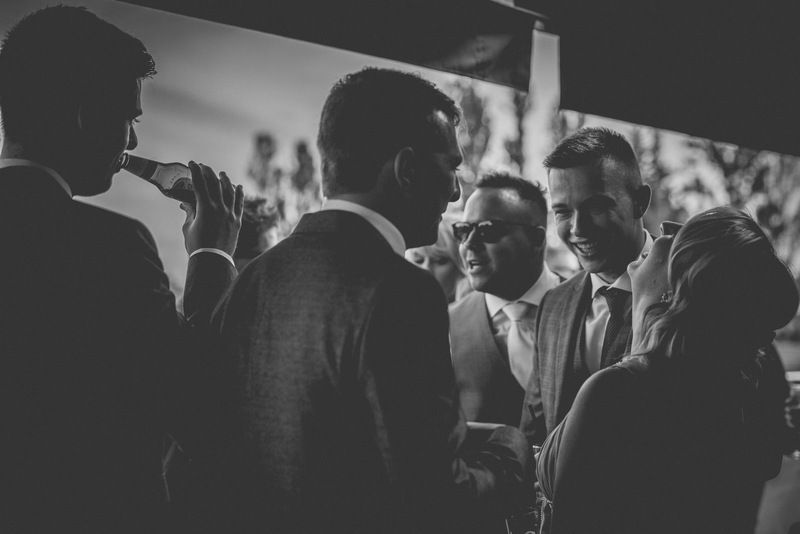 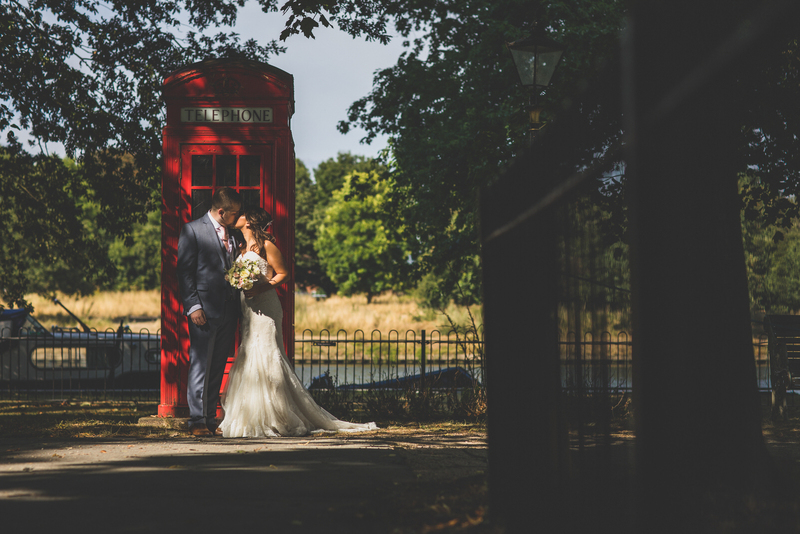 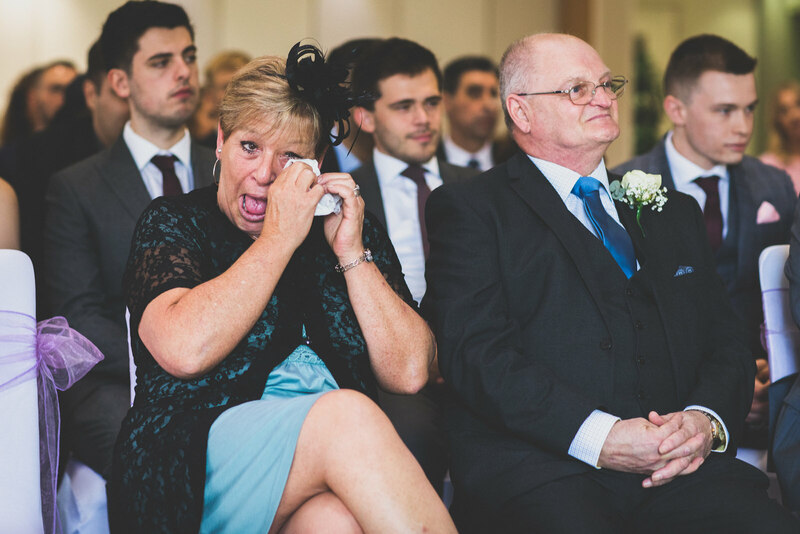 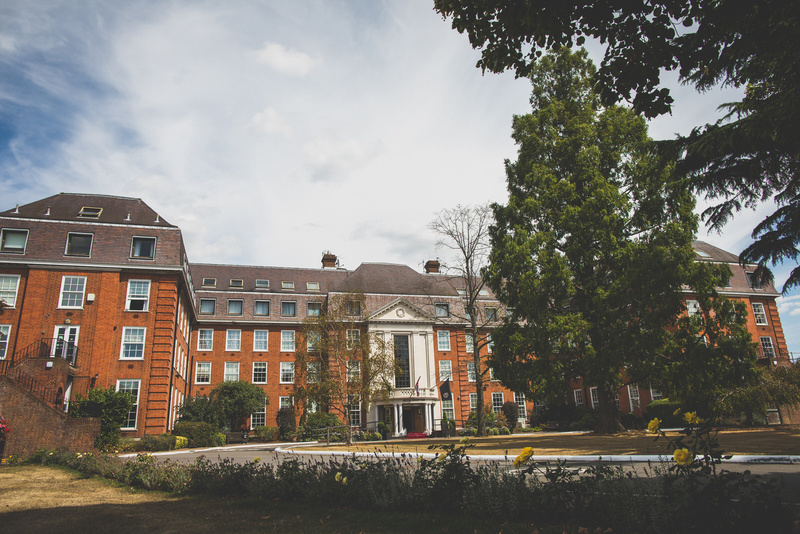 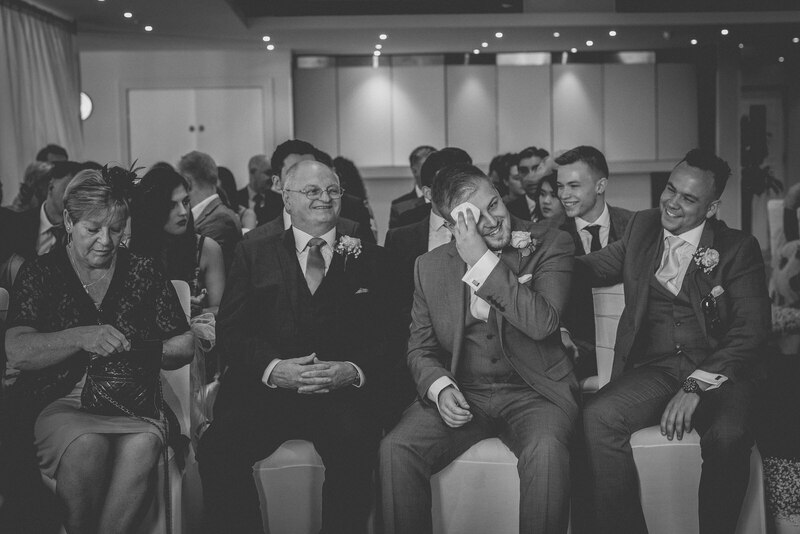 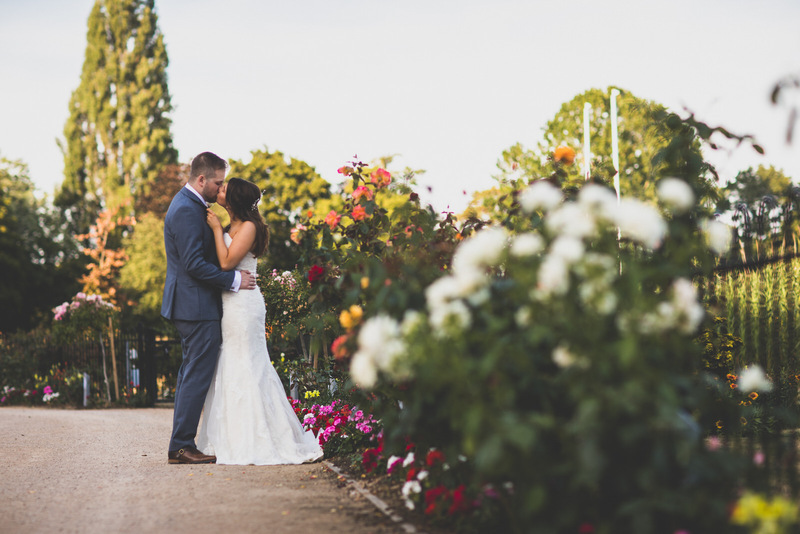 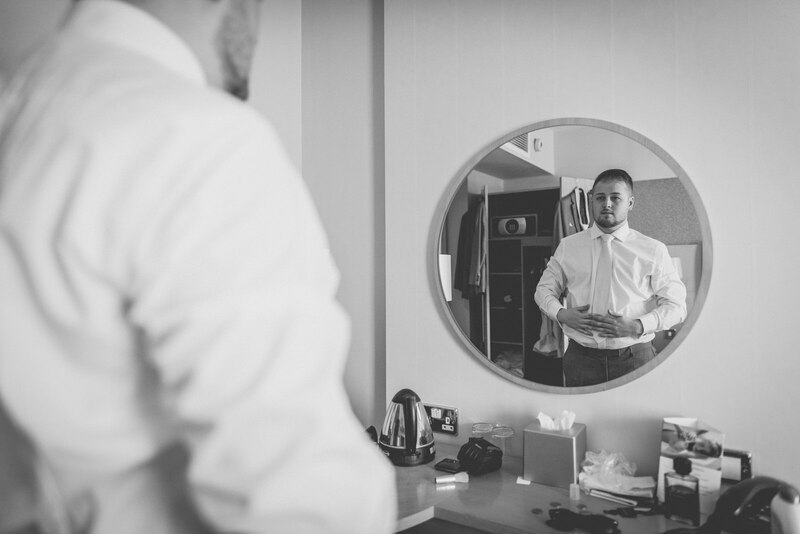 When Caroline arrived a little early to their chosen venue, The Lensbury in Teddington, it was nice to see the groom’s reaction for a change – one of nervousness and excitement – not unlike most brides on the day too. 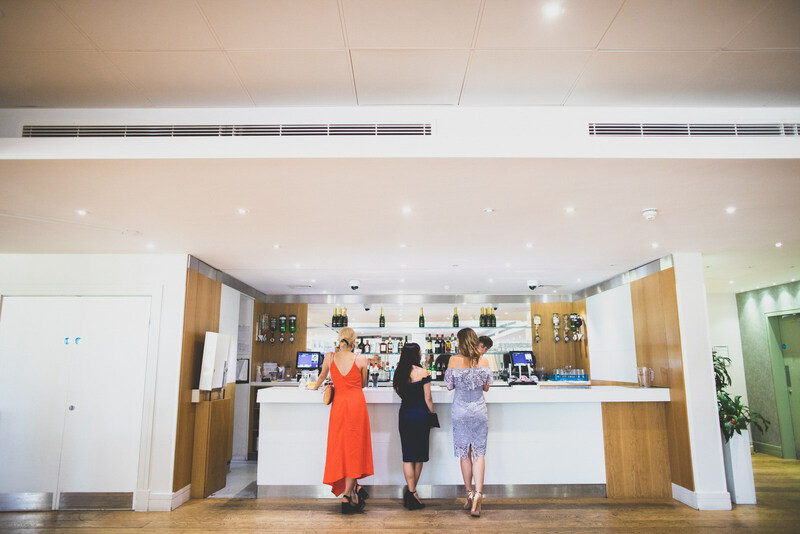 James lead the way with his family and friends following behind, to the bar where he calmed those nerves with a beer or two! 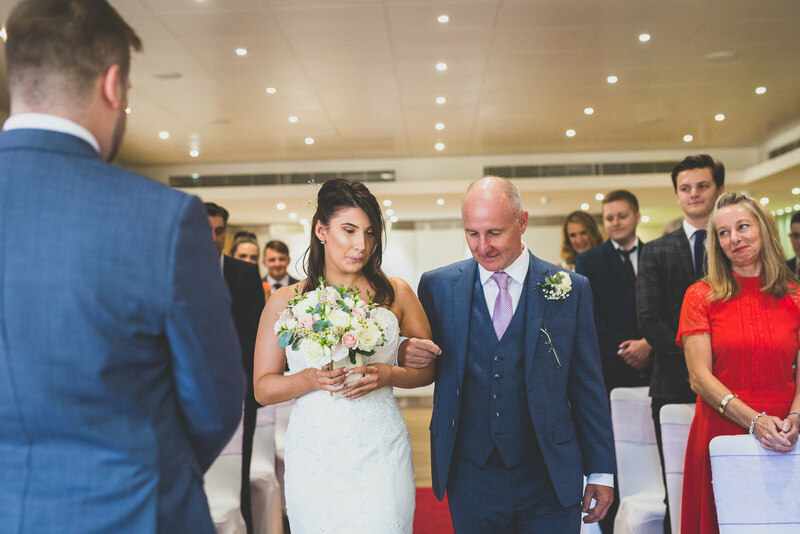 When everyone was settled in to the ceremony room, Caroline, her dad, and her bridesmaids, made their entrance down the isle. 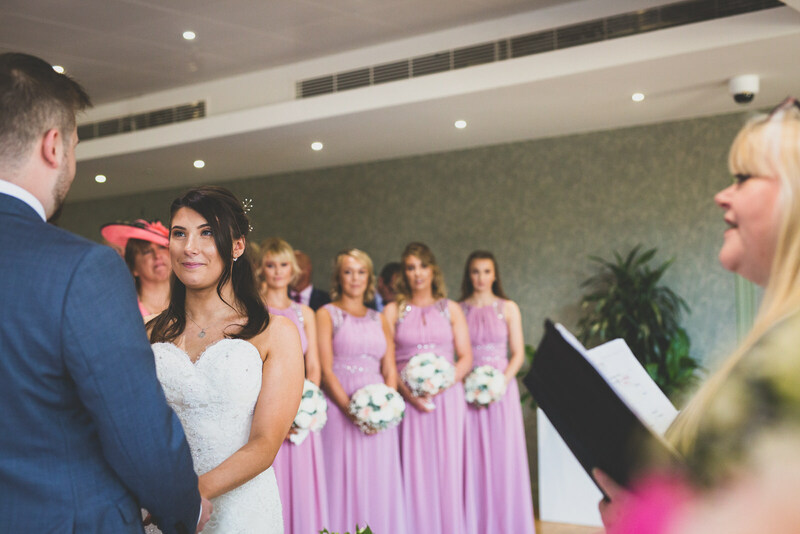 The ceremony was beautiful and once their ‘I Do’s’ had been said, everyone headed into the courtyard to celebrate. 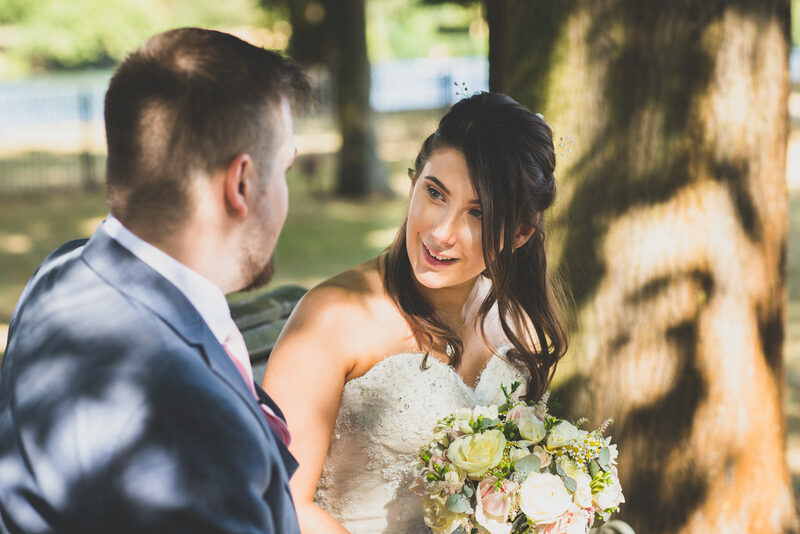 It was a stunning August day – sun out, blue skies – so when we headed out for some bridal portraits, we were battling the full sun but we got some cracking images to remember the day by. 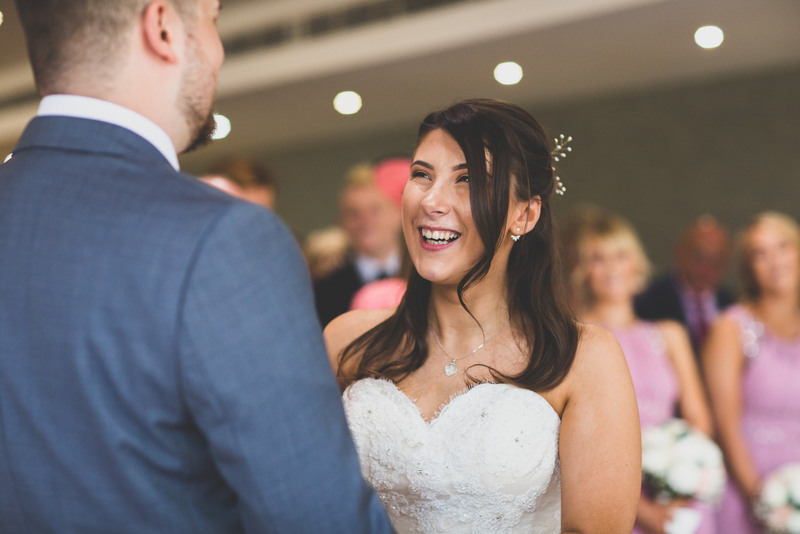 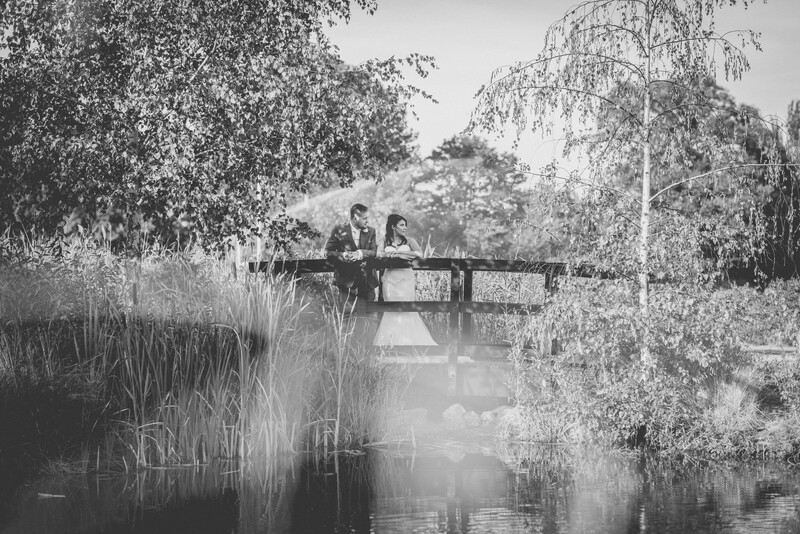 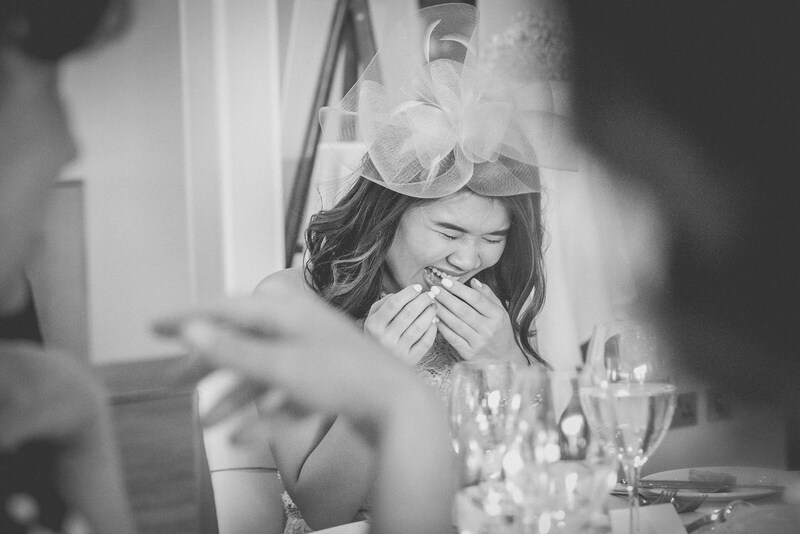 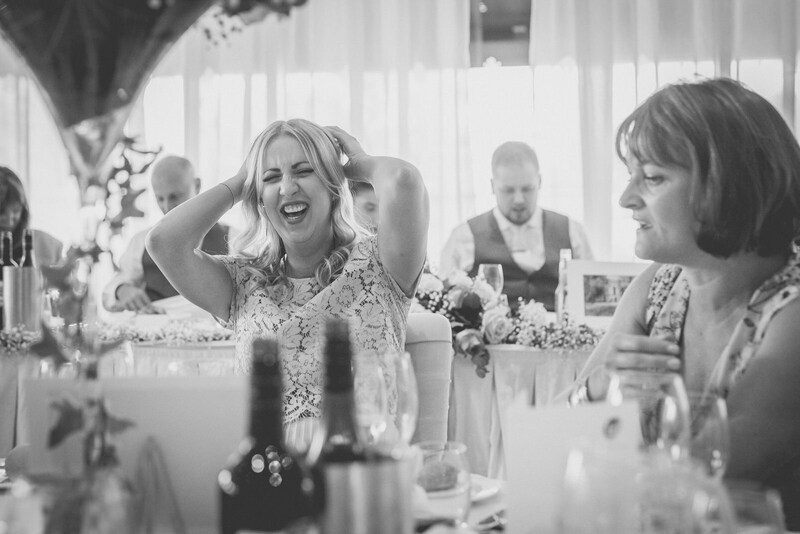 If you are planning a wedding and still need a photographer, get in touch now!